Olu Olu® has been supplying its market-leading range of African and Speciality foods to the retail, wholesale and foodservice sectors for over 30 years. The company began in Nigeria, in the late 1970's as Olu Olu Wineries and has since evolved into a specialist African and exotic health foods brand, providing a wide array of tropical and rare health foods and drinks to the western market. Presenting consumers with the finest produce from Africa and the tropics, the Olu Olu® brand has insured quality for at least two generations of satisfied consumers. From its modest origins, the family-owned business now hosts a wide range of products ranging from dry foods and spices, to pantry items, packaged snacks and beverages, all representing the culinary prowess of the African, Asian, Caribbean and South American continents. 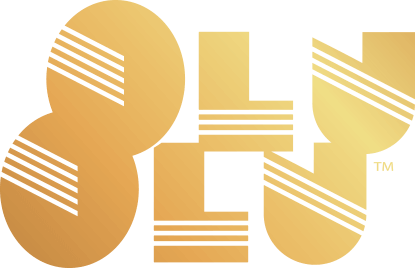 The name Olu Olu® is derived from both the company founders’ names. Husband and wife duo, Mr Olumuyiwa Aiyegbusi and Mrs Oluyemisi Aiyegbusi, started the company in Nigeria, and later moved to the UK to establish a contemporary African food brand that could capitalise on the prospective opportunities that the emerging Western markets had to offer the African diaspora. Catchy and memorable, Olu Olu® is now a name synonymous with premium quality African foods. Many are unaware that Olu Olu® Foods were one of the first, if not the first African food brand to be distributed in the UK and most of Europe. Over 30 years on and many are still unaware that Olu Olu® Foods developed the food manufacturing process that positively revolutionised the way millions of Africans around the world eat ‘Pounded Yam’. As founding fathers of Instant “Pounded Yam” flour, Olu Olu® is responsible for pioneering and popularising the concept of this flour and introducing it to the world. Olu Olu® became the first company to commercially package Palm Wine for export into the European markets in the 1980’s. By the late 90s Olu Olu® Foods had become the first company ever to produce African Ready Meals, through its microwavable tinned foods range. They introduced revolutionary products such as canned Jollof Rice, tinned Yam Porridge and Egusi Stew to name a few. Olu Olu® are recognised as pioneering pace setters, technological innovators and market leaders within the African and Exotic Health Foods Market. We have recently been awarded several Gold Stars from the Great Taste Awards of the Guild of Fine Foods, for the exceptional taste quality of some of our product offerings. To more accurately reflect the core values of our company and the growing mainstream appeal of the brand, our packaging and lines of communication have gone through a creative overhaul. We are aware that many of our customers have a real and intimate relationship with the brand, memories and stories they have associated with the brand and many have even grown-up with us in their kitchen; so we didn't want to change too much but instead adapt with the times yet keep the nostalgia and the African heritage our brand offers.